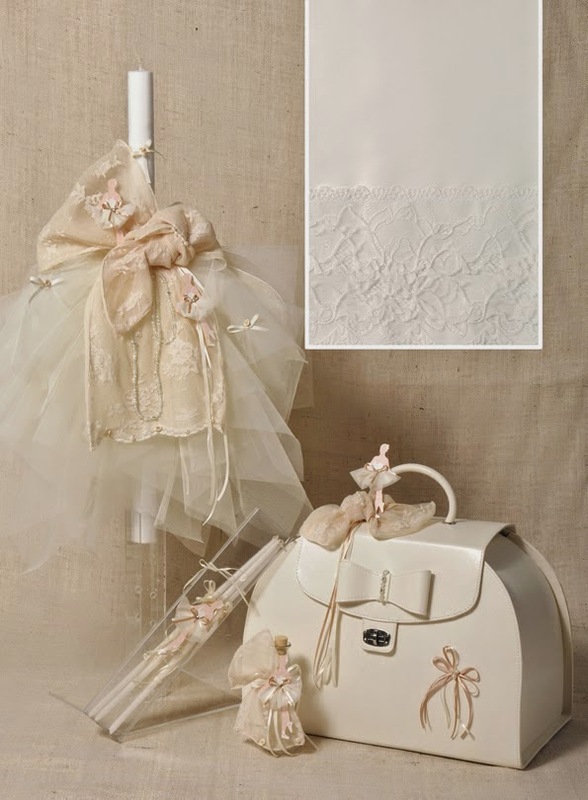 This romantic set for girl's Greek christening, that we have created is well suited for ballerina themed baptisms. The beige lace combined with the ivory tulles and the wooden ballerinas, will give a nostalgic mood to your little girl baptism. The set includes the lampada, ladopana, suitcase, three candles, soap, oil bottle underwear and towels. https://www.preciousandpretty.com/2015/03/greek-christening-set-ballerina-e138.html Greek Wedding Favors|Orthodox Crowns|Stefana|Baptism Invitations Greek christening set ballerina E138 Set for Greek Orthodox Christening ballerina themed Product #: Greek Wedding Favors|Orthodox Crowns|Stefana|Baptism Invitations_7649089319605977151 5 stars out of 5 reviews.